This has got it absolutely correct. Jeremy Corbyn will not mobilise his natural supporters by singing God save the Queen. And neither will John McDonnell by apologising for defending the IRA. And they certainly will not appease their enemies in the Tory, Right Labour and their pliant mass media. Rather this taste of blood will enormously encourage further and more damaging attacks. 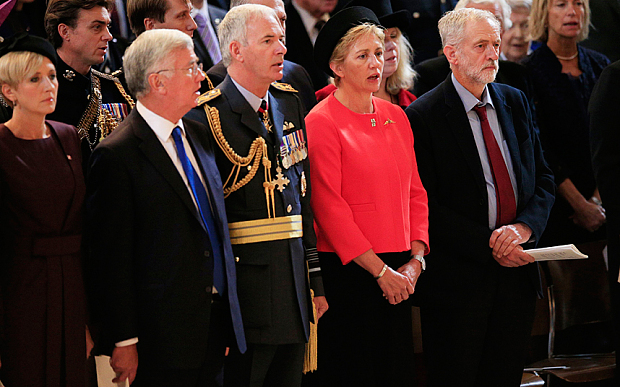 So the republican, atheist Leader of – irony on the way – Her Majesty’s Loyal Opposition didn’t sing the national anthem. Oh very dear. Really, this should have been as controversial as discovering David Cameron dislikes income tax and poor people. Colour us surprised indeed. Reactions were to be expected. It was “disrespectful”, it “hurt and offended” some and “angered” others. However, those of us urging Corbyn on and who welcomed his election as Labour leader – however cautiously and with whatever caveats attached – were left feeling frustrated at his handling of the criticism. This election has been followed with some attention here in France. Unfortunately the “information” given by the medias was…scant, to say the least. Now, there is going through some discusion, because some people has taken Corbyn for the new next Tsipras or Pablo Iglesias. Or better. Here we have Mélenchon as left populist but, because of the working class history and Communist background and traditions of the working class, it is more a composite mouvement wich in some way still represents the actual state of concienciousness of the braoder layers of the left masses. The “troskysts” here or have dismissed the hole phenomena as “sowing illusions on an old reformist horse” by one of it’s main groups or the other group just jump into the Corbyn train to congratulate themselves of this “earthquake” that is their proof of the great possibilities of the “anticapitalists mouvements everywhere”. a)The magnitude of the “wave” of adherency by the working class to the Labour (and others if it is the case) in the UK, before and after the election. Some people here has said that this “wave” was only composed by “students” and petit bourgeois youth. Other see an actual “wake-up” of the working class with revolutionnary possibilities. 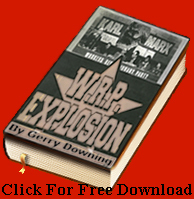 b)The real possibilities of the Left to make sound steps to win this new wave of adherents and to change the course of things to a more favorable issue for the broader masses of britain worker’s. c)The reaction of the left parties in the UK after the electiion. The ones with good analysis. The futur. Is there any of this “wave” comming from Corby and his closest friends (if he have).We have herd, from the french press, that his speech in Parliament was quite “moderate” . Is this his real position or just a tactical step? The TMI has published and all out jubilant statement telling that with this oportunity, it opens a broad possibility for the left party work inside the Labor party. Is this correct? Which is the part of “illusions” (the point of view of the ones which are allways looking the actual state of conciousness from the border of the road) and is there not to much “euforia” between the non critical supporters of the left (?) Labour. Please, could you politically explain to the foreigners, more about the aftermath of the election and the political perspectives ahead for the Left?